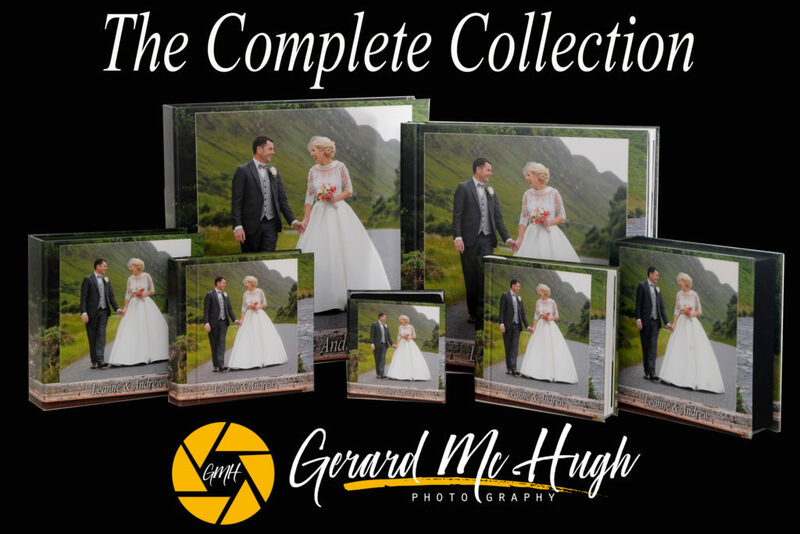 Just received my latest Sample album.This is the complete collection .It contains the Main premium 12″x12″ album & premium presentation box ,Two 6″X6″ identical parent albums with premium presentation boxes and a USB with a premium presentation box .For details of this fantastic offer contact us here . 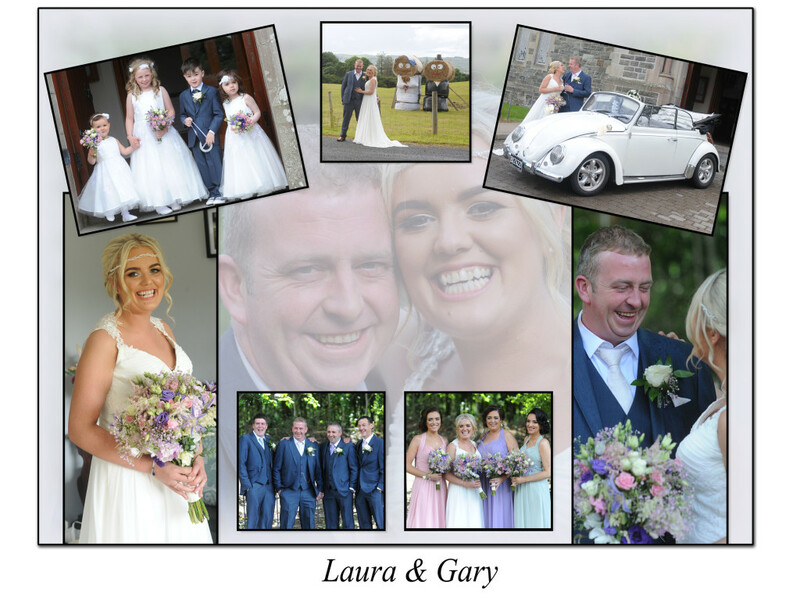 The wedding took place recently at St Patricks Church Cross Roads Killygordon of Lee-Anne Sweeney & Andrew Gallagher.The bride was attended to by Chief Bridesmaid Charlotte Sweeney and Bridesmaids Majella Sweeney, Amanda Sweeney and Maggie McNamee. James Strain was best man and Paul McCauley, Gerard Moss and Paddy O’Brien were groomsmen. Pageboy was Rory Sweeney and Flower girls were Rachel Mangan, Rosemarie Gallen, Ruby McLaughlin & Hannah Sweeney Murray. 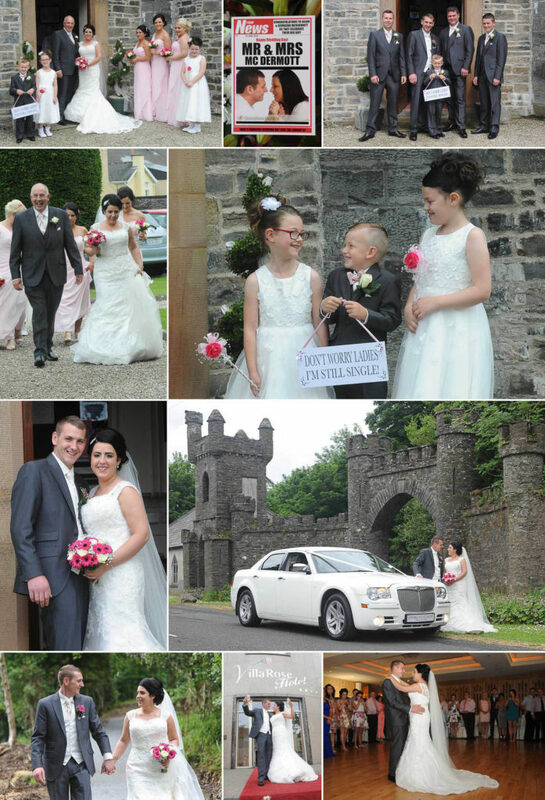 The Wedding took place recently at St Ninian’s Church Convoy of Georgina Bates and Jason Mc Dermott. Both the Bride & Groom coming from Convoy. The bride was attended to by Bridesmaids Laura Bates, Shauna Mc Dermott and Hayley Quinn. Patrick Mc Dermott carried out the role as Best man and was ably assisted by Alan Bates & Curtis Mc Dermott. Makenzie Bates was pageboy and Jadyn Bates & Ellie Robertson were flower girls. Ushers were Cornelius Sweeney and Mark Bates. 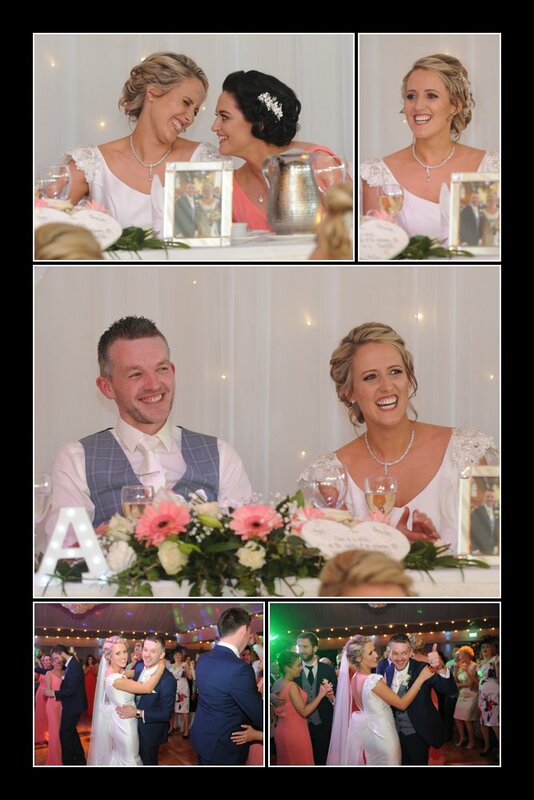 The reception was held in the Villa Rose Hotel Ballybofey .Kerry Doherty was the videographer and Gerard Mc Girr provided the wedding tranport for the day. 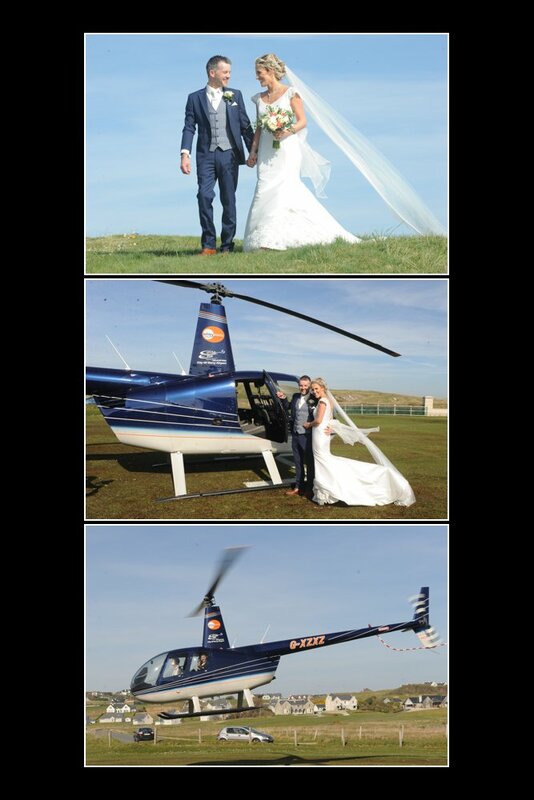 Best of luck to Jason & Georgina & Jason in their future lives ahead. The Wedding took place recently at St Patricks Church Killygordon of Lorraine Moss from Crossroads Killygordon and Tony Rogers from Aughalatty Carrigart.The Bride was attended to by her sisters Sharon & Patricia Moss and Grace Connolly.James Rogers was bestman and Eamon & Danny Rogers were groomsmen.The Nupital Mass was celebrated by Fr Patsy Arkinson. 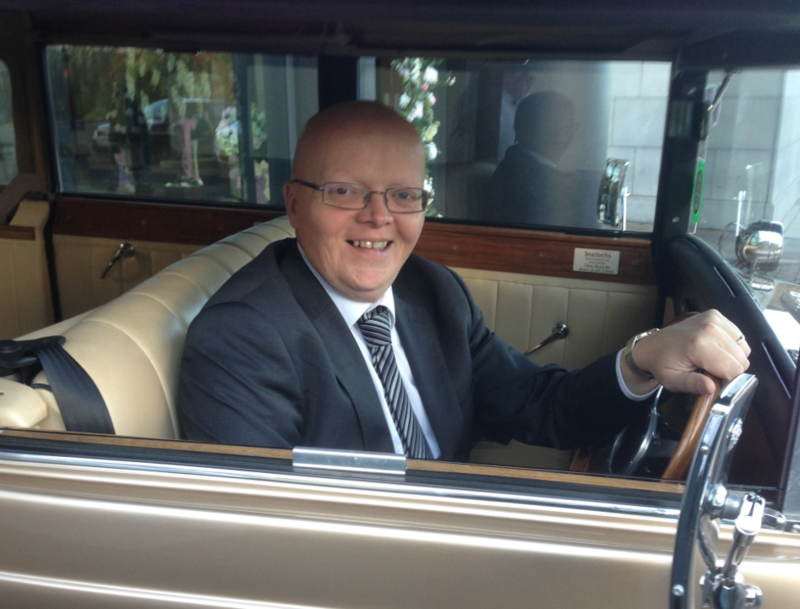 The Happy couple were chauffeured by Charlie Mc Laughlin Wedding cars to the Silver Tassie where they were entertained by the Cufflinks Band and DJ John Bosco . The day was caputured by Pink Lime videos . 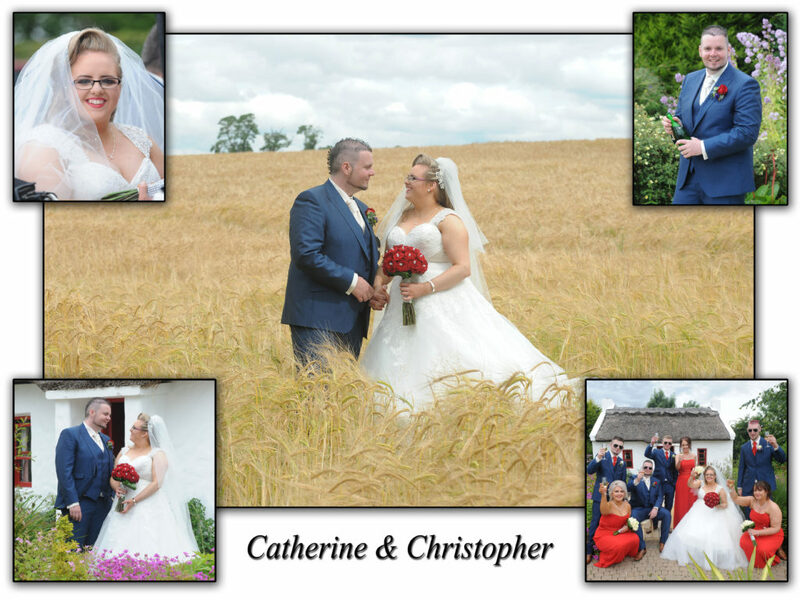 On Friday last the 8th July I had the pleasure of Photographing the wedding of Emer Carr & Thómas Boyle at St Agatha’s Church in Clar just outside Donegal Town . 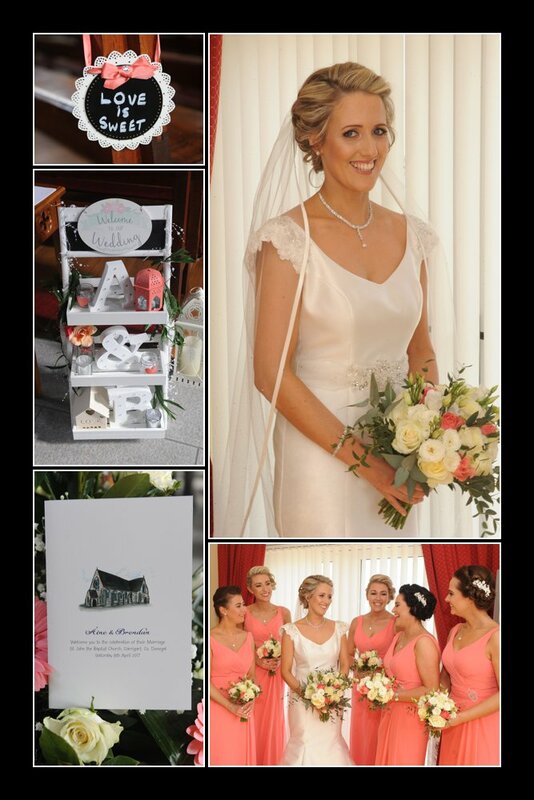 The bride got ready at her home in the Picturesque Barnesmore over looking Lough Eske were she was ably assisted by her sister’s Bridgeen Carr and Bridesmaids were Marie Flood & Deirdre Ward and Make-up artist Ciara Mc Groarty . 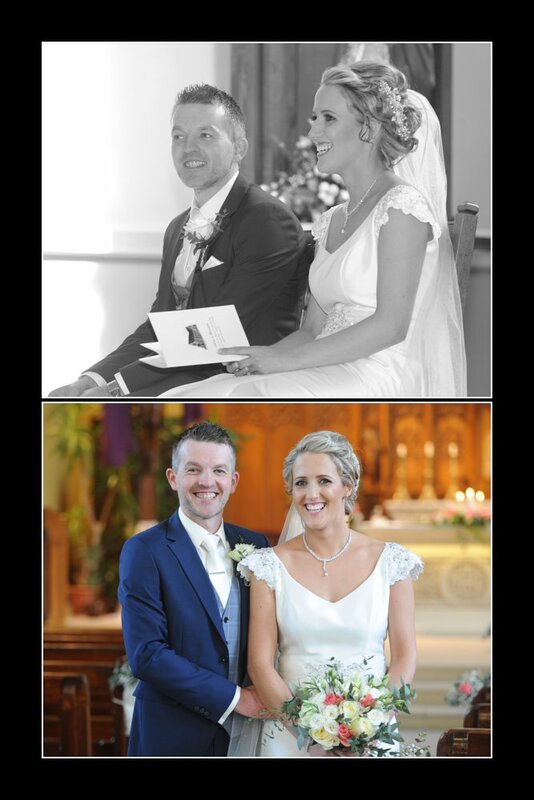 Thómas brother Cathal Boyle was Best Man and Enda Ferriter and Andrew Gillespie were Groomsmen.The Church music was by Brendan McCahey, Enda Ferriter and Bridgeen Carr (Bridesmaid) . The popular Jason Mc Garrigle of Donegal Video filmed the day’s proceedings .The wedding cars were supplied MM Wedding Cars Donegal Town. The flowers were by The Flowershop Stranorlar . 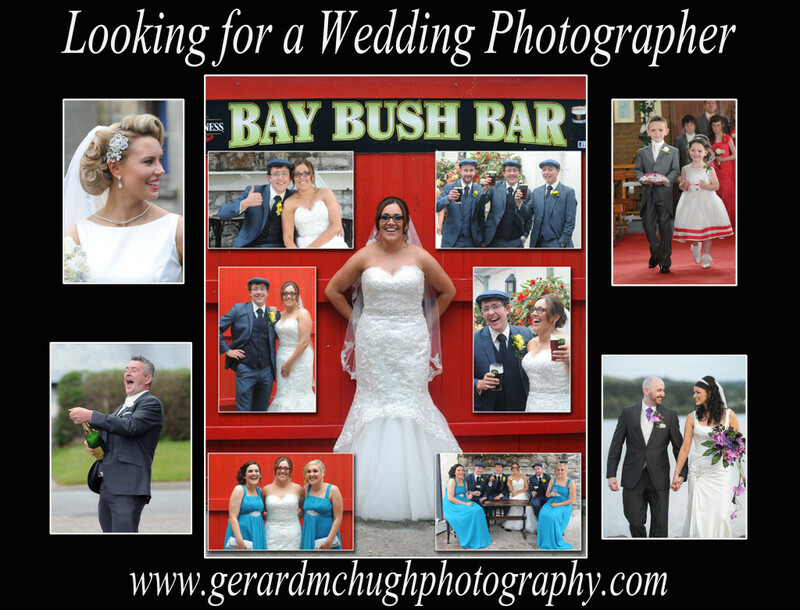 The reception was held in Harvey’s Point Country Hotel Lough Eske and were greeted by Noel Cunningham , Samantha & Johanna representing the wedding team at Harvey Point. Entertainment for the evening was provided by Magician Mr Majestic, Gary Gamble as Daniel O’Double and the Dreamday wedding band entertained the crowd. 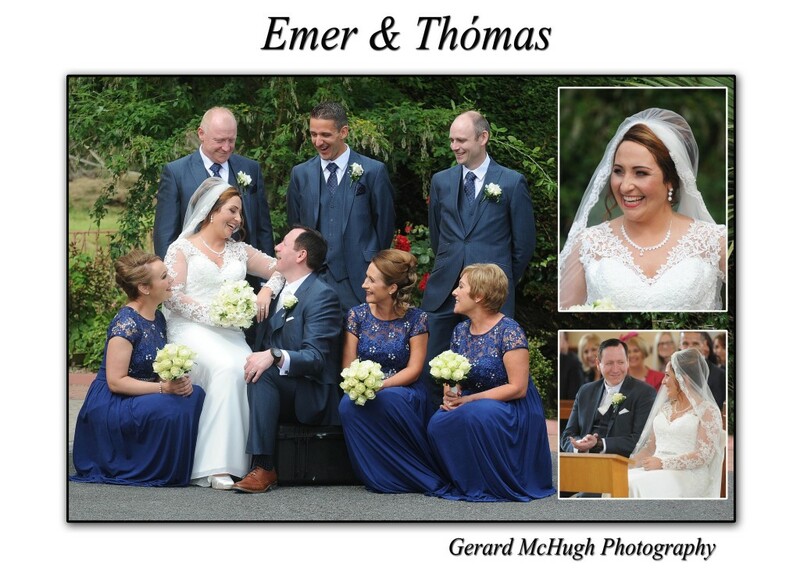 Best wishes to Emer & Thómas in their future life ahead. There was great excitement in the Finn Valley on Friday last when Laura Gallagher from the Cross Killygordon and Gary Mc Menamin from Ballybofey tied the knot at St Patrick’s Church Crossroads.The ceromney was officated by the Fr Patsy Arkinson.The bride was attended to by her sister Charlene Mc Clintock ,Eileen Mc Menamin and Julie Fitzgerald. Edward Scanlon carried out his duties to perfection as bestman and he was ably assisted by Michael Fiztgerald and Del Wright . After the photoshoot at the Cross Roads and White Hill it was off to Andies Bar in Stranorlar where the bride & groom were greeted to a rousing reception.A few quick sociabales it was off to The Silver Tassie Hotel in Letterkenny were the 400 plus continued to celebrate to the small hours.Entertainment was provided by The Nookes band from Newry and local DJ Martin Temple. 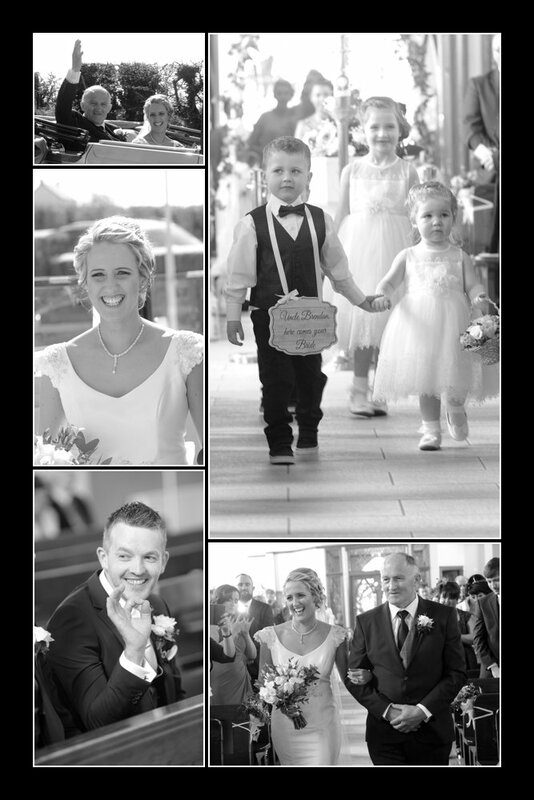 Best of luck to Gary & Laura on their Honeymoon in Australia and their future lives ahead. 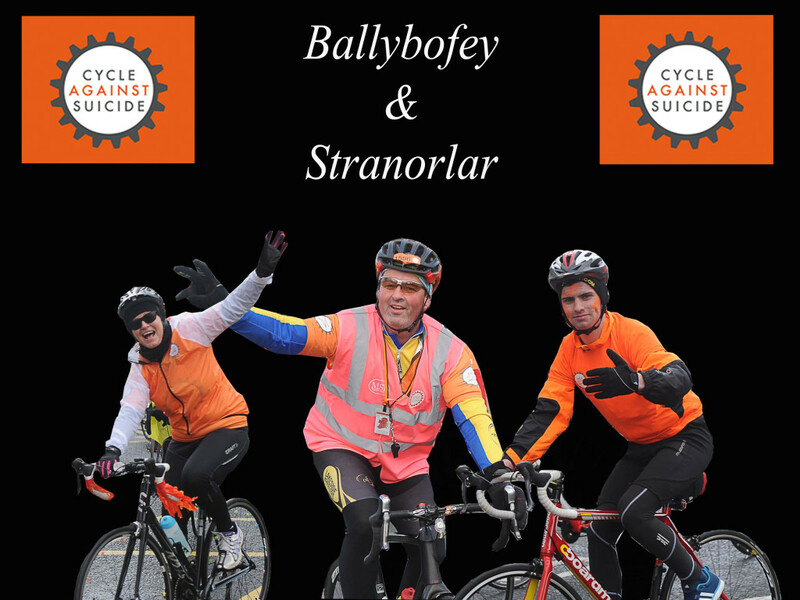 Well done to all the cyclist taking part in the Cycle Against Suicide.Here are some photos in Ballybofey & Stranorlar.